Shirin Hassan lawn prints 2013 for women were revealed yesterday. It consists of bright colored prints. Like Shirin Hassan lawn 2012, this collection also has block prints on lawn. 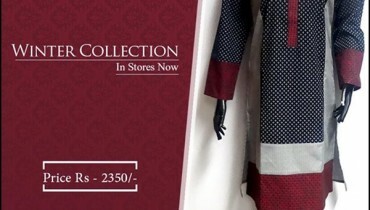 Three-piece suits that have shirts, trousers and dupattas can be seen in Shirin Hassan lawn prints 2013 for women. The prints have traditional patterns. Suits for casual wear are included in this collection. All the prints of Shirin Hassan are fresh and vivid. They will make great summer dresses. So, if you want stylish summer dresses, you should go for Shirin Hassan lawn prints 2013 for women. Shirin Hassan is a famous fashion designer who started designing dresses in 2005. She is an expert when it comes to block prints. She has chosen this specialization due to the bright colors involved in block prints. The collections of Shirin Hassan have been showcased at many international and local fashion shows. The designer has thus, achieved global recognition in addition to fame in Pakistan. Her collections are appreciated by a lot of people. The designer offers prêt, haute couture and designer lawn. The stylish dresses of Shirin Hassan are stocked at a few multi-brand stores in Pakistan. The designer deals with clients through appointment. The appointment for Shirin Hassan can be taken through phone. Apart from that, the team of Shirin Hassan can be reached through email. You can see pictures of Shirin Hassan lawn prints 2013 for women below. Shirin Hassan lawn prints 2013 will be released soon. Till then, go through these pictures. The lawn prints will most probably be available through the multi-brand stores which stock Shirin Hassan clothes soon. If you want to know these places, go to the Facebook fan page of Shirin Hassan. You may visit it through the address below.